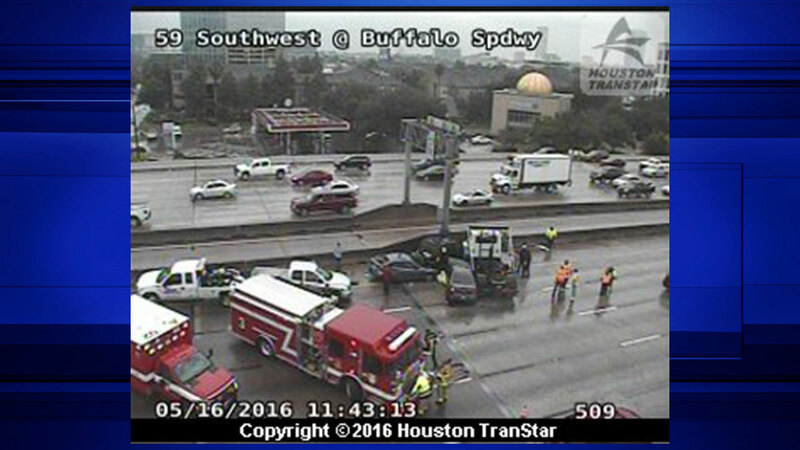 HOUSTON (KTRK) -- A multi-vehicle wreck along the Southwest Freeway inbound at Buffalo Speedway has been cleared. While it was there, the back-up was beyond Newcastle. At this point, we don't know how the accident happened or if anyone's injured. We'll post any new information as we get it.